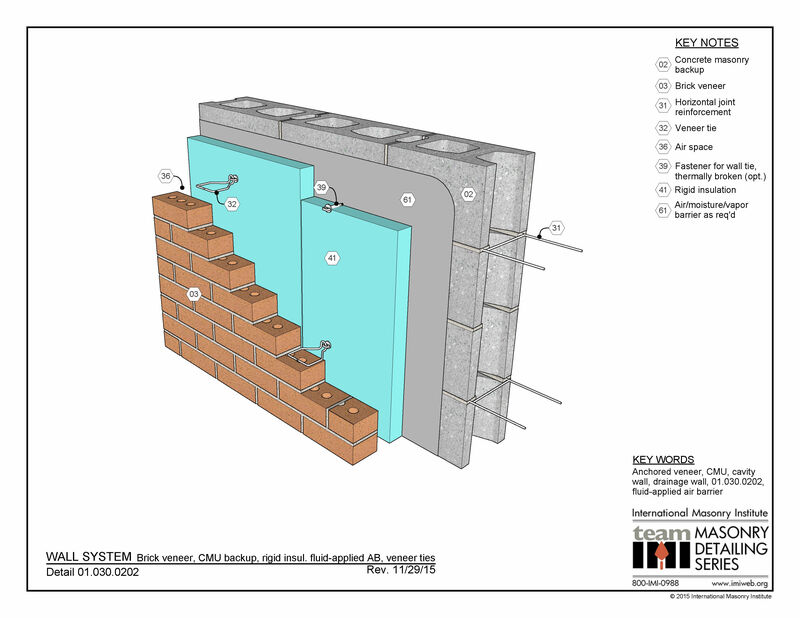 This wall system shows anchored brick veneer on concrete masonry backup. 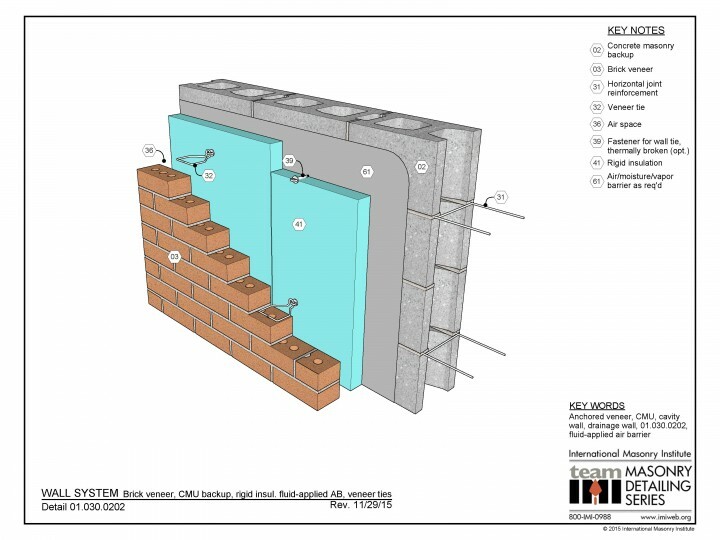 The concrete masonry has a fluid-applied air barrier. Continuous rigid insulation resides in the cavity. The brick veneer is anchored to the CMU backup through the insulation with veneer ties, which may be thermally broken per design.